Today is February 29, 2016. February only has 29 days every 4 years. 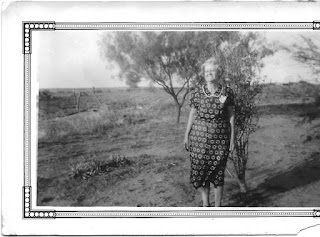 So today, I'm wishing Happy Birthday to Clara Blanche Rushing Stowe, my grandmother. She was born Feb. 29, 1876 and passed to heaven Dec. 3, 1962. She used to tease us about how "young" she was since she only had a birthday every four years. Well, today is your day, Grandmother. Enjoy. Happy Birthday to all you Leap Year Babies. 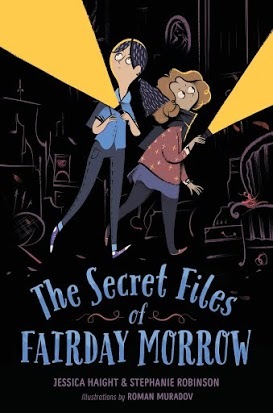 take a look at THE SECRET FILES OF FAIRDAY MORROW, a novel for middle grade readers, by Authors Jessica Haight and Stephanie Robinson and a wonderful read. The cover makes me wonder what they're looking for. Moving to a different house in a new town and leaving behind dear friends is rough on anyone. It’s especially tough for children, who also have to start a new school where they don’t know anyone. In THE SECRET FILES OF FAIRDAY MORROW, a novel for middle grade readers, by Jessica Haight and Stephanie Robinson, Fairday Morrow faces such a situation. She’s not very happy about moving, either. The house, known as Begonia House, is old and decrepit. Even though her parents are going to renovate the place, she just wants to go home. It doesn’t take long, however, for Fairday (I love her name) to discover a room on the third floor of the house, and in that room there are mysteries to solve. 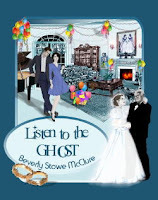 Enter Lizzie, her friend from her former town who comes to visit for the weekend, and Marcus, a new boy she meets at school, and the DMS (Detective Mystery Squad) goes to work to solve the weird things happening at Begonia House. I laughed. I held my breath. I followed the DMS crew through every room of the house and every experience they had. The authors give each character a distinct personality. The description of the house is perfect and who doesn’t love a haunted house? Well, maybe the ghosts or whatever’s doing the haunting don’t care for it so much. Take the lively characters, the spooky setting, and the suspense waiting to see if the DMS succeeds in their quest to solve the riddles of Begonia House, and you have a winner. I can picture young sleuths now, after reading this novel, doing some investigating of their own. The black-and-white illustrations by Roman Muradov add just the right touch to the story. Every school library and classroom , as well as public libraries, should have a copy of this book, and your own library too, of course. Highly recommended. PIPER MORGAN TO THE RESCUE COVER REVEAL! 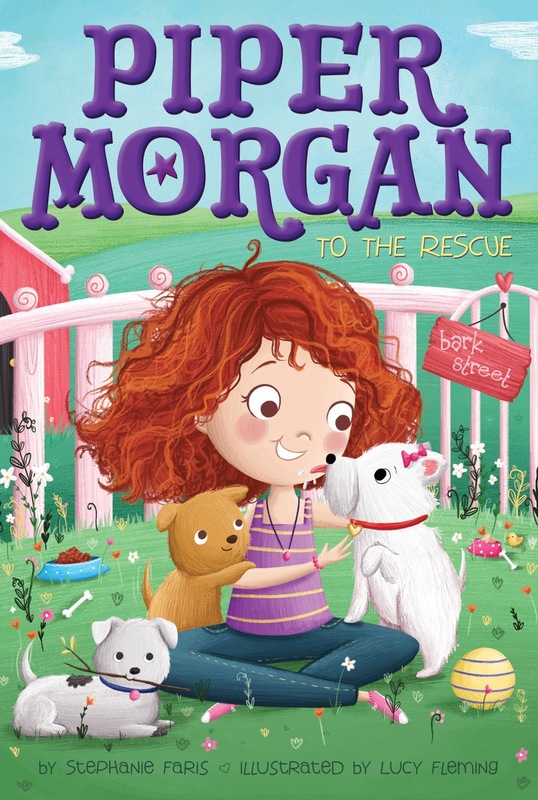 Today, I'm excited to host Author Stephanie Faris in the cover reveal for her forthcoming children's book PIPER MORGAN TO THE RESCUE. Now who can resist this adorable cover? Just look at the way these fur babies are looking at Piper. So, so cute. 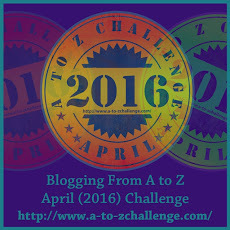 Stephanie would like to share some facts about the challenge of writing chapter books for young readers. 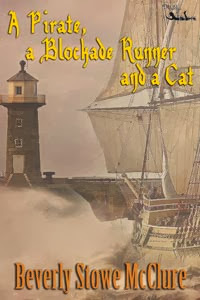 I’ve now written books with characters between the ages of eight and 35, starting at the upper end of that range and working my way downward. I have to say, after all of those books, the younger the character, the more fun it is to write. How many of us can remember what it was like to be a child, when your biggest problem was whether or not your parents were being fair? Chapter books are especially challenging, since you have to stop and think before every sentence. Even the sentence I just wrote would be far too complex. An eight-year-old not only sees the world differently, she expresses her thoughts and feelings in a much simpler manner. I think writing for tweens helped with the transition, since twelve-year-olds also look at the world through their own limited frame of reference. If someone asked me which I preferred, chapter or middle grade, I’d say both are equal. In fact, going back and forth between the two extremes keeps things fresh. 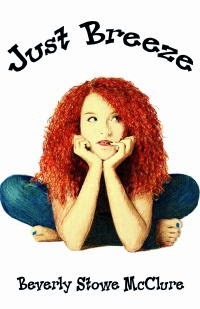 I love living in Piper’s head for a while, then switching over to the twelve-year-old star of my current middle grade book. 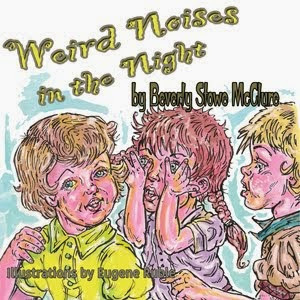 If I have trouble getting back into the voice, I just read a few books in that age group and the words start flowing. Whatever the age of your main characters, at one time they were eight. They struggled to make friends and avoid getting in trouble at school and home. They learned and grew and eventually became the characters they are in your books today. It might be a fun exercise to imagine what your characters were like at eight years old. Were they feisty and fun like Piper or studious like Harriet in Harriet the Spy? You might understand your characters a little better after imagining them that way. Very good advice, Stephanie. Thanks. 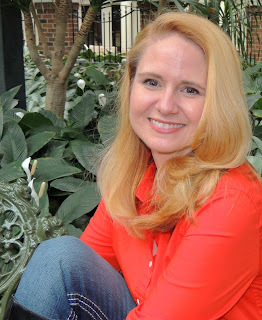 Stephanie is the Simon & Schuster author of　30 Days of No Gossip　and　25 Roses, as well as the upcoming　Piper Morgan　series. When she isn’t crafting fiction, she writes for a variety of online websites on the topics of business, technology, and her favorite subject of all—fashion. She lives in Nashville with her husband, a sales executive. Thank you for visiting with us today, Stephanie. Congratulations on your latest book. 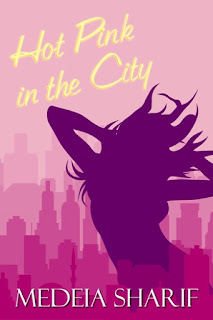 Not too long ago we looked at a lovely cover reveal for HOT PINK IN THE CITY, Author Medeia Sharif's latest novel. I recently had the pleasure of reading this book and am delighted to share my thoughts with you. Such a colorful cover. Looks like the girl is having fun. Being a teen is tough. There are parents who think they know what is best for you. There are friends that may not be the friends you think they are. And don’t forget the boys. In HOT PINK IN THE CITY, by Author Medeia Sharif, sixteen-year-old Asma Bashir, tomboy, soccer star and typical teen is spending a couple of weeks during her summer vacation with her uncle and his family in New York, which is quite a change from her home in Florida. She hopes to see Madonna, who she is crazy about, as well as check out guys. (Yep, typical teen.) Things don’t turn out quite the way she planned, however. Asma and her cousin Nasreen accidentally erase Nasreen’s father’s favorite tape and soon find themselves in hot water as they attempt to replace the tape before he discovers what they did. Add a couple of bad guys and a gorgeous teen boy named Abe, that Asma met on the plane and who she runs into again in the city, and the girls’ attempts to find a new tape get even more complicated. The author has created teens that are believable and fun, and that you can’t help but laugh at their situation (at least I couldn’t) while you feel for them too and cheer them on to achieve their goal so they don’t embarrass themselves and their strict families. Medeia Sharif is super at showing the emotions of the characters. 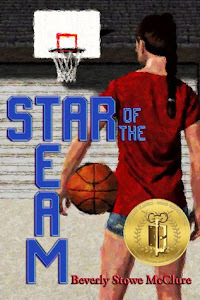 I could feel the girls’ panic when things went wrong and wondered if they would succeed in their quest. HOT PINK IN THE CITY is a story that teen readers should be able to relate to as it touches on many of the crises that they face. This novel would make a great addition to school classrooms and libraries, as well as public libraries and of course your own. The author provided me with an e-copy of the book for my honest review. Available at Amazon Barnes and Noble and other places. Now go pick up a copy or download it to your reader. You'll be happy you did. 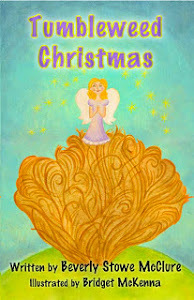 I am so excited to share the latest novel of my dear friend and awesome author Darby Karchut/Kaye. And here it is: UNHOLY BLUE (Bannerman Boru), sequel to THE STAG LORD. This cover fascinates me. Shay Doyle does also. What does the word family mean to you? For me, I see a mother, a father, children, grandparents, cousins, aunts and uncles. Perhaps your idea of family includes still others, someone that’s very close to you, that you can depend on when you need a friend or a hug. 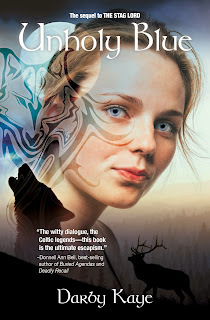 Award-Winning Author Darby Kaye’s latest novel, UNHOLY BLUE, sequel to THE STAG LORD, is a story about many things: Celtic warriors, shape shifters, Goblins, dogs, and bravery, to mention a few. It’s also the touching tale of a family: a man, his eight-year-old son, and a woman who loves them both. And that’s one reason why I love this story so much. I’ve been counting the days for Shay Doyle the Healer, Bannerman Boru (Bann) the immortal Celtic Warrior, and Bann’s son, Cormac, to continue their story. And boy do they. They still have Lord Cernunnos, the shapeshifter now in the dog Max’s body, the Tully clan, and those darned old Goblins and Fir Blogs to deal with. They have an additional problem, as well: to tell Cor about their forthcoming marriage. Speaking of Cor, he’s my favorite character. He’s all boy, confused at his father’s and Shay’s behavior sometimes, brave when necessary, and friend and protector to his puppy, Sam. One of my favorite scenes is with Cor and Sam, where Shay tells him not to let the puppy sleep on his bed. So what does Cor do? Like most any boy, he solves the problem in his own way. He puts his pillow and blanket in the dog cage and curls up with Sam. I laughed when I read this: all boy. The relationship between Cor and his father is sweet and touching. There are funny scenes that made me laugh and also scary scenes when their lives are in danger, and I wondered if Bann and Shay (a great warrior herself) would survive. Some of the fighting got pretty bloody. Darby Kaye/Darby Karchut has a way of creating characters that come to life. I can picture Bann and Shay as they fight together, make love together, and try to be good parents for Bann’s and soon-to-be Shay’s son. Speaking of the hunk, Bann is brave and fears little, yet he’s gentle with his son and Shay. He’s not perfect, however, and he and Shay, with her strong personality, sometimes clash. UNHOLY BLUE has violence. It has romance. Most of all it has a family that will have you cheering for them when their future looks bleak. I’ve read all of Darby Kaye/Darby Karchut’s books, and they just keep getting better and better. One thing I’d like to know. There is a third book in the series, Ms. Kaye, right? Darby Karchut is an award-winning author, dreamer, and compulsive dawn greeter. She's been known to run in blizzards and bike in lightning storms. 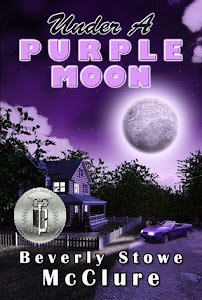 When not dodging death by Colorado, Darby is busy writing urban fantasy for tweens, teens, and adults, and is now trying her hand at contemporary fiction. 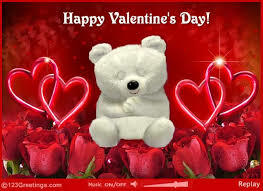 HAPPY VALENTINE'S DAY AND GIVEAWAY! 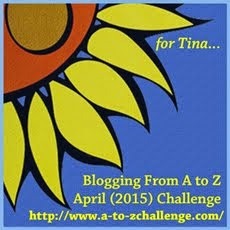 To celebrate, I'm having a giveaway. One of my publishers cleaned out her warehouse and sent me a box of my books. Now my closet looks like Fibber McGee and Molly's closet. If you've never heard of these people, (you young things) they were a husband and wife team that had a radio show from 1935 to 1959, when they switched to TV. Their closet was always full (like mine) and when you opened the door everything fell out. So you have a picture of my closet. Boxes stacked on top of boxes. 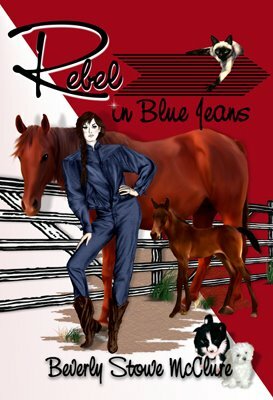 I would very much appreciate your help in cleaning out my closet, so I'm giving away one paperback copy of my YA paranormal novel LISTEN TO THE GHOST and one paperback copy of my YA contemporary novel REBEL IN BLUE JEANS. It's easy to enter. Just email me at Beverlysmcclure (at) aol (dot) com. Tell me which book you'd like and you'll be in a drawing for a copy. Free. The cats will draw the winning entries. A girl's quest to discover the truth not only about her ghost but about herself, as well. The story is set in Charleston, South Carolina, where, according to legend, many old houses have a resident ghost. 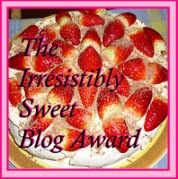 Dream Realm Award Finalist. 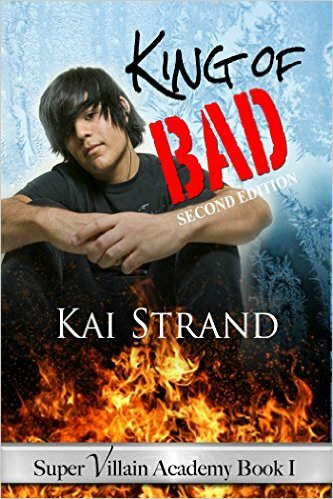 What's a girl to do when her mother runs away with the drummer in a rock band, her friendly relationship with the boy on the neighboring ranch turns serious, and a handsome college guy with a bad reputation takes an interest in her? 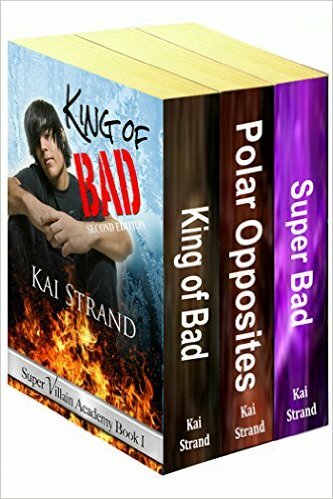 I have the pleasure today of participating in Author Kai Strand's book blitz for her teen novel, KING OF BAD, SUPER VILLAIN ACADEMY BOOK I. This is a great story, trust me, especially if you enjoy reading about super villains and also super heroes. An alarm blasted, startling the occupants of the room into silence. The double doors burst open, slamming against the walls with an alarming crack. A swarm of people, clad in black from head to toe, poured through the door. Blue flames erupted from those on the outer edge of the group. The flames weren’t directed at the kids in the room, but acted more like a battering ram to clear the way. Jeff stepped between her and the melee. He saw a panicked look on Source’s face and wished the intruders didn’t separate them. Jeff knew Source’s lack of skill left him vulnerable. “Uh…for now.” He nodded to give his feeble statement strength. The tight knot advanced militarily to the center of the room. Then they unfurled like a flower bud, revealing a deadly stamen. A small woman, with ebony skin and violet eyes, stood in the center, seeming seven feet tall with the importance she emanated. The ferret pointed and she raised her long nailed hands above her head. Nets, conjured from thin air, shot up and sailed across the room landing over her surprised target. He pointed to the floor and indicated that he wanted it to snake across the room. Oceanus pulled water from the overhead sprinklers and dropped it onto the floor. Jeff drew a deep, deep breath and breathed across the surface of the water. It iced over, immediately sending half the blue flame people to the floor. Jeff blew again, refreezing the water over their hands and trapping them. “It won’t last forever, let’s move.” He grabbed Oceanus’ arm and they ran. They were halfway across the room when roots burst through the floor and wrapped around their ankles. They sprawled face first on the floor. Another kid fell, knee first, onto Jeff’s back, knocking the wind out of him. Jeff squirmed around until he sat up and grew a small controlled fire in his palm. He showered sparks onto the roots that had snaked up around his calves. The roots shrank away from the fire, loosening their hold and Jeff tore free of their viney grip. He did the same for Oceanus and they scrambled to their feet again. The intruders hefted their squirming captive toward the door. Jeff anchored his feet firmly on the ground and gathered all the gravity he could feel around him. As quickly as he could, he bound the feet of those carrying the hostage. Jeff felt light headed from having to split the gravity in so many directions. He imagined his feet were buried in the ground, giving him a deeper contact with the source, and his head cleared a bit. “Can you smother it somehow?” Jeff yelled. “No, I don’t have anything. And the others are getting free. Sure enough the blue flamers who’d been temporarily frozen were up and re-igniting their fire. One of the intruders with the blue fire yelled, “¡Detenganlo!” and pointed toward Jeff. Teachers had joined the fight. In the midst of pelting milk cartons, lightning strikes, and lashing ropes, Jeff was struck by one strange fact. His fellow students seemed to be fighting for the sake of fighting. No one appeared intent on retrieving the hostage. As a matter of fact, Jeff watched a kid blast one of the captors and turn away from the hostage. Jeff roared. He had to get over there, but if he moved, he’d release the gravitational hold he had on the captors. Experimentally, he slid a foot forward without lifting it from the ground. He felt the hold weaken, but it didn’t break. Concentrating all his efforts on maintaining control, Jeff slid his feet across the floor. The going was agonizingly slow. He felt some of the captors struggle against the gravity that locked them in place, hoping to break free. Someone’s psych ability nudged around his head looking for a way in. With all his efforts focused, he continued to slide across the room. A blast of steam and heat hit Jeff, knocking him sideways. He slid a couple of feet across the ground and came to a rest in a heap. Dazed, he shook his head and sat up. Then he remembered what he’d been doing. He leapt to his feet and searched the room for the group of captors. Too late. The doors swung closed behind them. Source was gone. 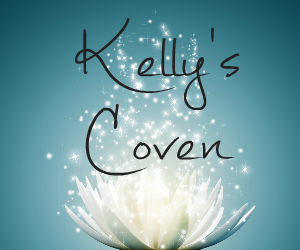 What a wonderful way to start the week with the cover reveal for Author Kelly Hashway's novel INTO THE FIRE, the heavily edited version with new scenes. And a new cover. Take a look. Isn't this gorgeous? The girl's expression makes me wonder what she's thinking. What? It's February already? January just started. Well, the calendar says it's Feb.2, so it must be. 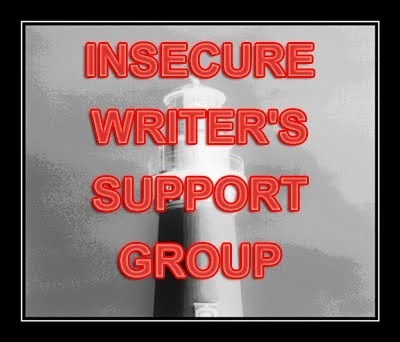 It's also a very special day: INSECURE WRITER'S SUPPORT GROUP. Our awesome founder of IWSG is Alex J. Cavanaugh. 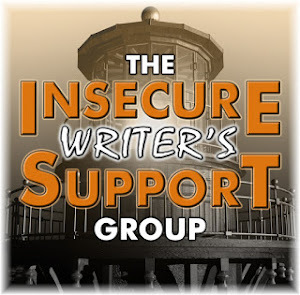 His awesome co-hosts for the February 3 posting of the IWSG will be Allison Gammons, Tamara Narayan, Eva E. Solar, Rachel Pattison, and Ann V. Friend! Insecurities. Do I have any? Not too much. Mostly it's hoping that my works-in-progress make sense. That I find the right words to tell the characters' stories. That the characters have a story to tell. 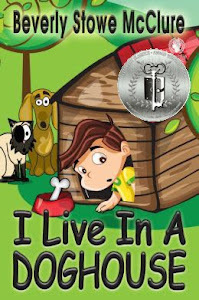 A story that will touch the hearts of the readers. In the meantime, while my characters are telling me their story, I put together this cat tree. No, my stories don't have a cat in them. Both have a dog, however. The cats aren't impressed. Patches sits underneath it. Tiger climbs the "real" trees outdoors. May all you insecurities be little ones. Quote for the week: Study nature, love nature, stay close to nature. It will never fail you. Frank Lloyd Wright. #InkRipples is a monthly meme created by Kai Strand, Mary Waibel, and Katie L. Carroll. They post on the first Monday of every month with a new topic. 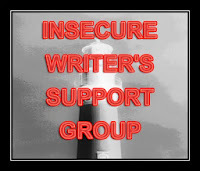 They're all authors, but you don’t have to be to participate. The idea of #InkRipples is to toss a word, idea, image, whatever into the inkwell and see what kind of ripples it makes. 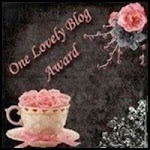 They provide the topics and will be blogging about them on the first Monday of the month. You can spread your own ripples by blogging about the topic any day of the month that fits your schedule, just be sure to include links back to Katie, Kai, and Mary. Or you can simply share your thoughts on social media using the hashtag #InkRipples. You might simply comment on one of their posts to play along. Tag them and they’re always happy to share your posts and thoughts to keep those ripples going and intersecting. There is no wrong way to do #InkRipples (with the exception of following basic human decency!). It’s about having a conversation, sharing ideas, and connecting. So if this sounds at all interesting, please do participate in whatever way you can. And feel free to use any of the meme’s images (created by the wonderful Mary Waibel). Chocolate! What can I say? Dark Chocolate Kisses. Chocolate Easter Bunnies. Chocolate Pie. Chocolate Cake. You name it. I like it. 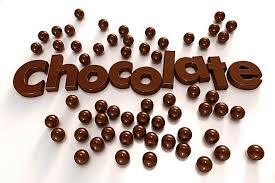 I was curious as to where, when, and how chocolate came to be. So I did a bit of research and found this great site. 12 lbs. 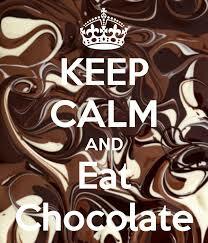 of chocolate a year? That sounds about right. Happy eating, umm, happy reading.